Ziamond is so confident about our Cubic Zirconia gems that they are covered by a Lifetime Guarantee to maintain the original brilliance and luster. They are also guaranteed against cracking or chipping under normal wear. Should your Ziamond gemstone display any signs of damage, Ziamond will provide a replacement Cubic Zirconia gem at no charge to the original purchaser. Ziamond may replace the gem with the closest color and cut available at the time. Fees for stone setting and goldsmithing will apply, as well as any shipping fees. Original receipt must be presented for guarantee to apply. Please see our Policies page for complete details. Work performed on Ziamond jewelry by anyone other than Ziamond will void any and all warranties, expressed or implied. All Ziamond Cubic Zirconia jewelry comes with a one year guarantee, from the date of the original purchase, against any manufacturer�s defects that compromise the integrity of the structure of the jewelry. At Ziamond's discretion we will repair or replace the item that is under guarantee. If for any reason the item in question has been updated or discontinued, Ziamond at its option, will offer a replacement with a similar item or issue a store credit towards another in stock item of equal or greater value. 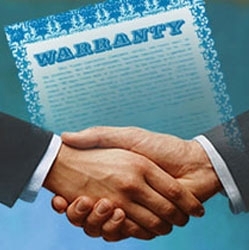 Original receipt and order number must be presented for guarantee to apply and customers must maintain the original order number and receipt in order to facilitate any warranty work in the future. Work performed on Ziamond jewelry by anyone other than Ziamond will void any and all warranties, expressed or implied. Any items that display damage due to abuse or misuse will not be covered under the warranty, therefore voiding the warranty. Items left at Ziamond for more than 30 calendar days will be considered abandoned and Ziamond will not be responsible for abandoned items. The Service Authorization Request form is located at the Customer Service Center area of www.Ziamond.com.